Your insurance claim reimbursements are becoming a vital contributor to your practice’s profits. Unfortunately, vision and medical claims have a time limit, and with the increased workload and complex claim lifecycle, it’s common for timely filing deadlines to be missed; reducing the amount of money you could be making. If your practice is struggling to manage your insurance claims effectively, consider using a revenue cycle management (RCM) service to handle the entire claim lifecycle for your vision and medical insurance claims. 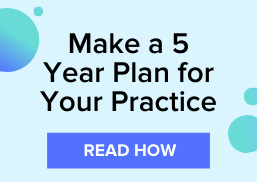 Doing so will result in deeper understanding of your optometric practice, more money through claim reimbursements, and fewer denied claims so you can focus on delving quality care to your patients. 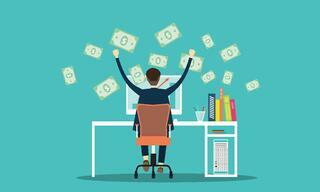 Below are benefits of using a Revenue Cycle Management service in your optometric practice. Effective claims management relies on timely claim submissions. However, many billers have an abundance of claims to work and submit quickly and correctly. Utilizing an RCM service, your optometric practice will have access to a team of billing experts specializing in vision and medical claims who can scale with your practice to quickly submit your claims. In claims management, rejections can create a backlog for your billing manager and complicate their role. The complexity of claim rejection reasons make working rejections a hassle and trying to resolve them while continuously submitting new claims can overwhelm your billing manager. With an optometry focused RCM service, the billing experts will work with you and the payer to correct the claim and resubmit it. One obstacle that optometric practice owners face is the lack of visibility into claims management performance metrics. Having visibility into your electron claim performance can give you the reports you need to maximize your claim reimbursements and earn more money. For more claims management tips, download "The Definitive Guide to Making More Money on Claim Reimbursements."